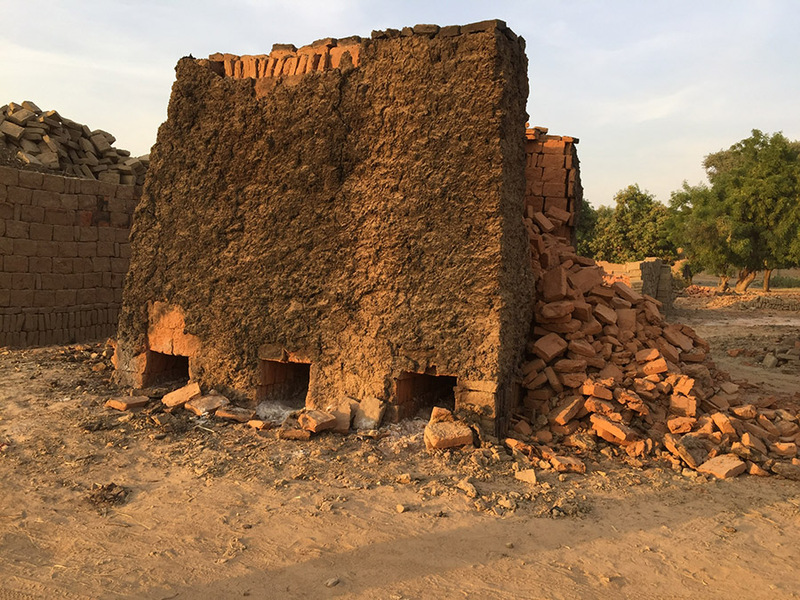 I'm now two weeks into my second MSF project, in Am Timan, south-eastern Chad. I was transferred here from Congo when it became clear to everyone that my ability to sing several Tom Lehrer songs by heart didn't make up for my woeful French and hospital management skills. 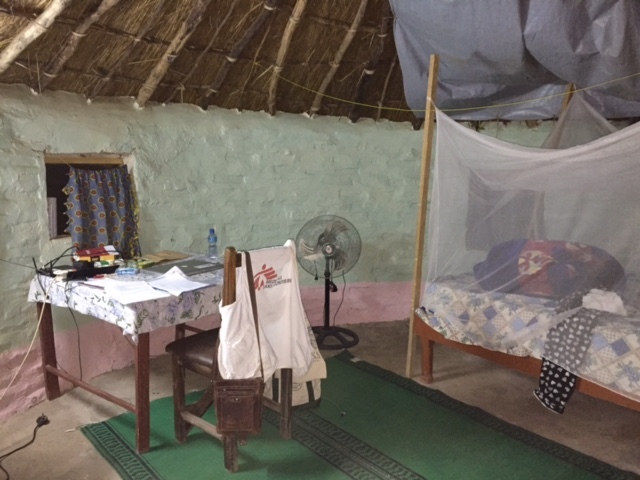 MSF sent me on an intensive French language course, having rightly concluded that no amount of management training would achieve anything, and sent me here instead, to work with and support the local doctors. "Here" is a sandy, dusty town, accessible from the capital either by two days' driving on desert track, or else by flying in on a small plane onto the town's football pitch. When one of the three-weekly flights is due in they take down the goalposts, shoo the goats off and position ladies with red flags on either side of the touch line, sorry, runway. The arrivals and departure lounge doubles up as a baggage handling and check-in facility, and goat shelter. "Has anyone given you anything to carry with you on your flight?" It's a standard security question which all air travellers have become used to hearing. Given that a reliable postal service is usually fairly far down on the list of priorities for the countries where MSF works, nearly all of us leaving our international headquarters for a job in the field are given items to take out with us for those already out there. Items we're asked to courier are usually things like birthday cards, socks, chargers, adaptors and headphones. A colleague left behind his favourite personalised computer mouse and it was duly added to the luggage of the next departing MSF worker. Unfortunately they missed their rendezvous and the mouse then embarked on a tortuous MSF backpack relay taking in Brussels, Berlin and Boston before finally being reunited with its owner in New York. Before flying out to Am Timan I was briefed at the MSF base in N'djamena, the capital of Chad. The briefing included a section on cultural awareness. I was given a sheet of 'dos & don'ts' and was rather perplexed by one of the guidelines: "When shaking hands on being introduced to someone do not be the first to spit as it is considered offensive". I mulled this bit of advice over in my mind on the flight out to Am Timan. Would it be OK to be the second spitter? Would it be rude if I didn't spit in response? And if it's always rude to be the first spitter then surely there are going to be an awful lot of affronted Chadeans wandering around. Anyway, having been here for three weeks I have yet to come across anything other than friendly handshakes followed by an animated interrogation regarding my marital status and fertility history. I suspect that the briefing sheet is being quietly edited. I have arrived at the beginning of the hot season. People are laughing at me as I wilt in temperatures of 39 °C in the shade. "Call this hot? Wait until May. That's when we'll call it hot!" Hmm. The river bed. Photo: Sarah Wookey / MSF. 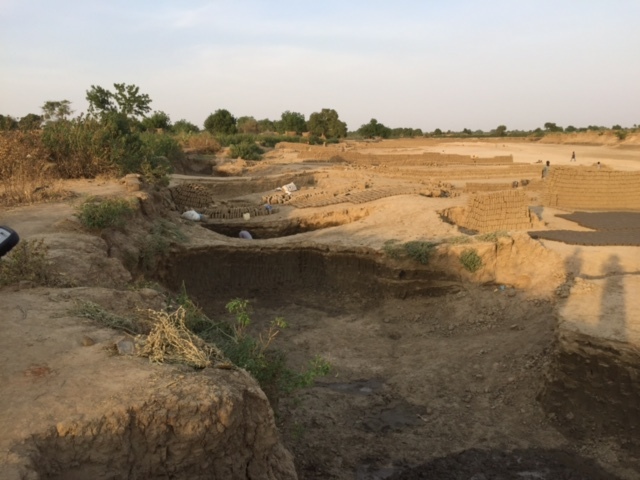 The river has already dried out and mud bricks are being hewn from the river bed before being air dried on the banks, stacked up into huge piles, covered with more mud, fired, and then distributed by donkey cart. Each brick is individual and distinctive and would sell for a fortune on Marylebone High St. The brick kiln. Photo: Sarah Wookey / MSF. We live in a compound, i.e. a collection of individual huts, made from the aforementioned bricks, together with a kitchen, dining and living area. This is my hut. No one knows why it's called 1st July, or why the one next door is called Nairobi Fly. Sarah's home in Am Timan. Photo: Sarah Wookey / MSF.